Firms from Louisiana, Texas and Arkansas are coming to Hale Hall to participate in Career Focus Day on Saturday, 17 March. This annual event serves as an opportunity for our students to start preparing for their professional futures by meeting with architects/interior designers, talking about their work and learning about professional opportunities. 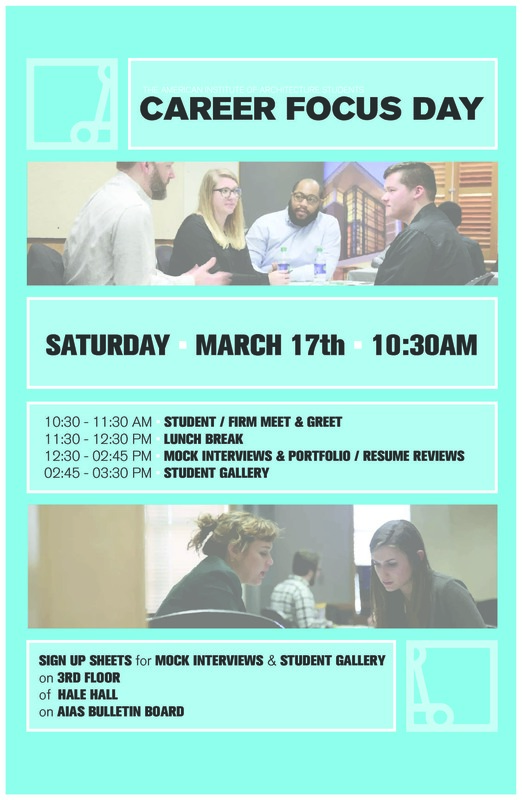 The event, sponsored by the Louisiana Tech Chapter of the American Institute of Architects, includes mock interviews, portfolio reviews and a student gallery. Kudos to AIAS President Chase Johnson for all the hard work is preparing for this event!